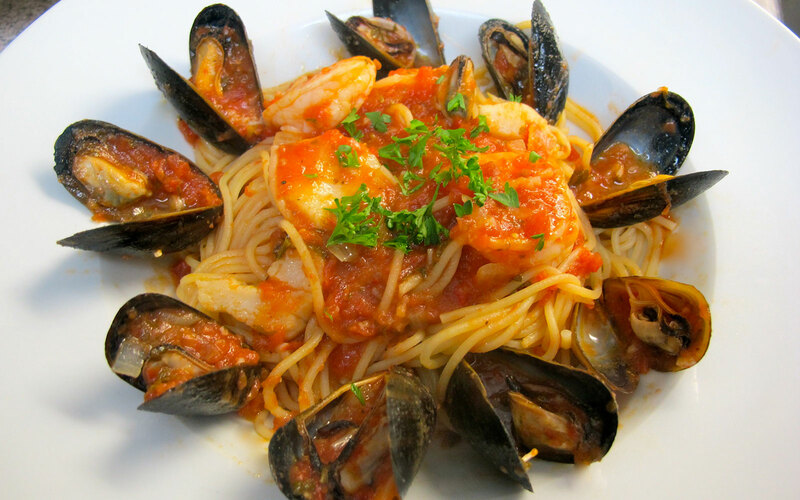 Spaghetti Pescatore is one of our favourite seafood dishes. 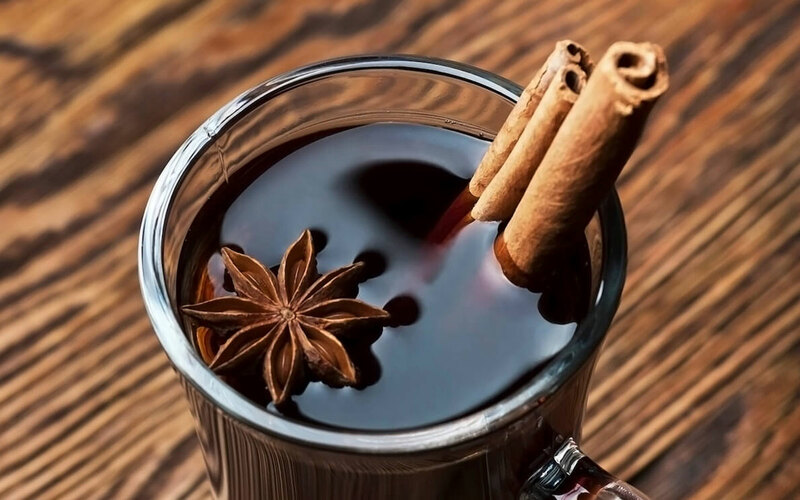 It’s always in season, no matter what the weather outside, and it pairs well with our White Bordeaux Style wine. White Bordeaux Style is a blend of Sauvignon Blanc & Semillon. The taste of dry White Bordeaux wine delivers a cornucopia of flavours and characteristics that include fresh lemon, citrus rind, flowers, spice, honey, orange, lime, grapefruit, butter and vanilla. You can also find elements of herbs, lemon wax and fresh cut grass. White Bordeaux wines at their best are rich, deep, concentrated and powerful. They can be fresh, display minerality and are often quite refreshing. When White Bordeaux wines age, they develop more complicated scents of honey, flowers, citrus, spice and stone characteristics. While dry White Bordeaux wine is produced in several appellations, the top dry, White Bordeaux wine comes from Pessac Leognan. This subtle wine will surprise you with its aromatic bouquet and complexity on the palate. Thanks to its perfectly balanced acidity, it leaves a lasting impression of delicacy and fruit. This easy to drink wine is delicious with grilled fish, shellfish or on its own as an aperitif. Total Time: Prep 15 Min. Cook: 20 Min. In a large sauce pan, heat the oil and then cook the onions until they are soft and translucent, about 4 minutes. Add the wine and fish stock and bring to a boil, then add the clams and cook until they are open. Add the tomatoes, parsley, salt pepper and red pepper flakes and bring to a boil. Reduce the heat and add the remaining seafood and cook over low heat while the pasta cooks. Bing a pot of salted water to boil. Add the spaghetti and cook according to the package directions. Mince the gremolata ingredients together and set aside. Drain the pasta, top with a scoop of the tomato sauce and toss well. Serve in four individual bowls, topped with more sauce and divide the seafood up evenly between the four bowls. Sprinkle some gremolata on each dish and serve immediately. Our mouths are watering already. Enjoy!